Our property is quiet and secluded, yet accessible to many year-round recreational opportunities! 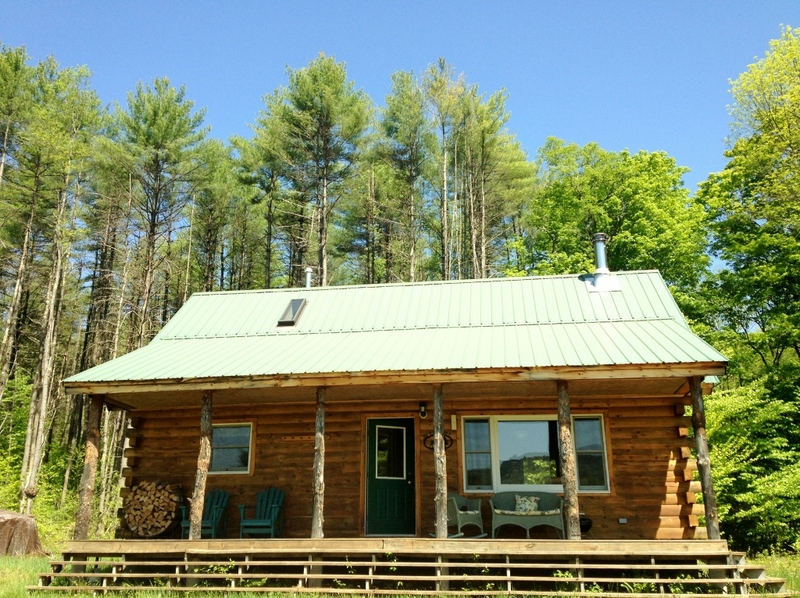 Situated on 40 acres of private and serene meadows, maple forest, and a peaceful brook, this is the perfect Vermont getaway for a couple or small family. Just a short drive from Brattleboro and with easy access to main roads, you are never far from markets, farms, restaurants, shops and galleries. 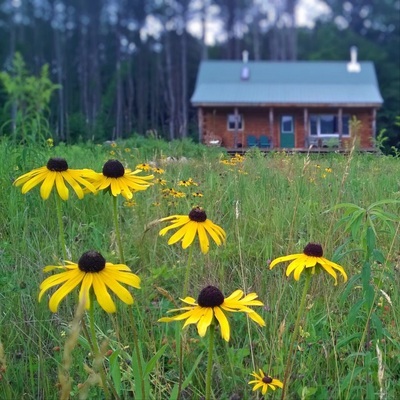 The cabin comfortably sleeps four, with 1,000 SF of space including loft, a modern fully equipped kitchen, beautiful pine furnishings, wood burning stove, and sun deck. 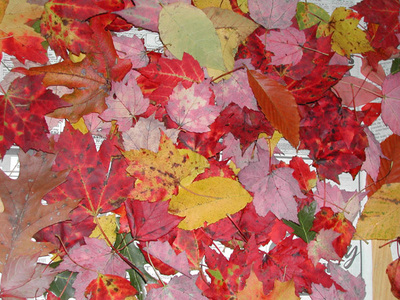 Come experience some of Vermont's best fall foliage, winter splendor, or summer fun. Plan your vacation today and use our live availability page to make your reservation. Please book as early as possible, especially during our busy fall season. perfect exposure to Windmill Hill Ridge and Putney Mountain. Close proximity to southern Vermont’s downhill and cross-country ski areas, ice-skating and snowshoeing makes for an ideal winter holiday. In summer and autumn, you'll find amazing hiking trails in the Windmill Ridge Nature Preserve’s 19 miles of ridgeline. Sit by the wood stove and read, or relax on the front porch and watch wildlife such as deer, turkey, coyotes, moose and black bears. 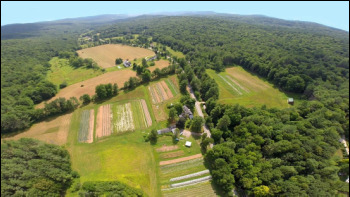 NEW: See aerial drone footage of the property!